Throwing the word ‘sticky’ in front of just about any food has the potential to boost its appeal up by approximately 45%. It’s true. Well…sort of. I kinda made that up. Just a little. Okay, so I made up the whole 45% thing. But not because I don’t think it’s true, because I definitely could believe that it is. Think about it- foods that are sticky are usually the the types of things that make little messes on our fingers and lips that are good for us to lick and smack up to the last drop. We don’t care if they make a mess- we’re willing to get down and dirty to enjoy them. I can definitely keep going, but you guys get the point. One thing that I noticed about all those things though, is that they’re all ‘sweet’ things. But don’t think that my 45% Rule of Sticky Food doesn’t apply to savory food. It definitely does. Case in point: this dish. Guys- the word ‘sticky’ doesn’t just boost this chicken’s appeal up by 45%. Try doubling that number. And then some. Forget every takeout dish you ever had at your local Chinese restaurant. They don’t matter anymore. God knows I love chicken, but even this exceeded my expectations. For those unfamiliar with it, I always think of Hoisin sauce as the Asian version of ketchup or barbecue sauce. It’s quite sweet, but not quite as cloying as say, plum sauce. It’s my favorite ingredient to use when cooking Asian-inspired dishes, and the best part of it is that it has that ‘sticky sauce’ effect. This recipe in and of itself didn’t create enough sauce for me, so I decided to tweak it a little bit. After the chicken was done baking, I poured off the excess juices that were in the pan into a saucepan, then I made the recipe for a marinade again and added it to the saucepan over high heat with about a tablespoon of corn starch. I let it cook until it began to bubble and thicken to that lovely, sticky consistency I was looking for. After it cooled down, I poured it over the finished chicken. And voila. 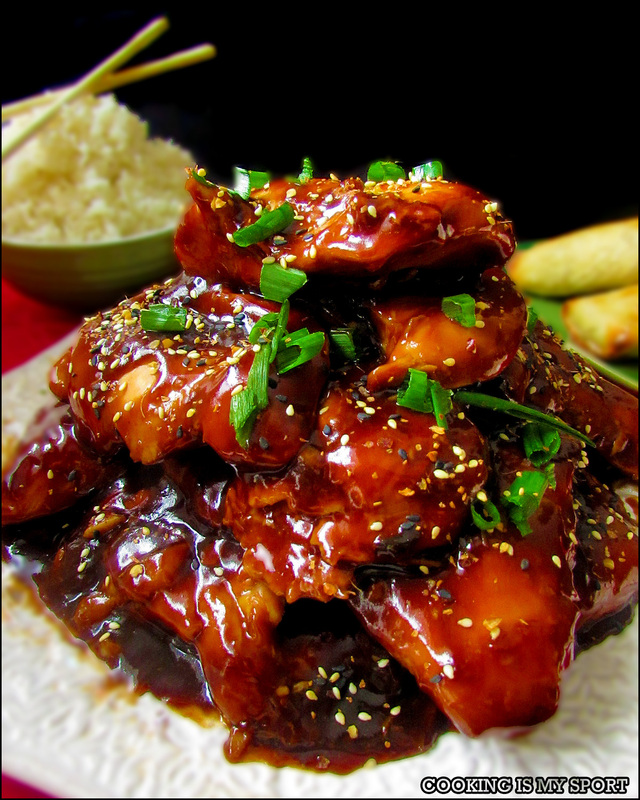 Sticky Hoisin Chicken. It was thoroughly enjoyed by yours truly and her family with these Baked Egg Rolls, but it would also go well with Low Carb Lo Mein Noodles. Or by itself- that would work too. 1. 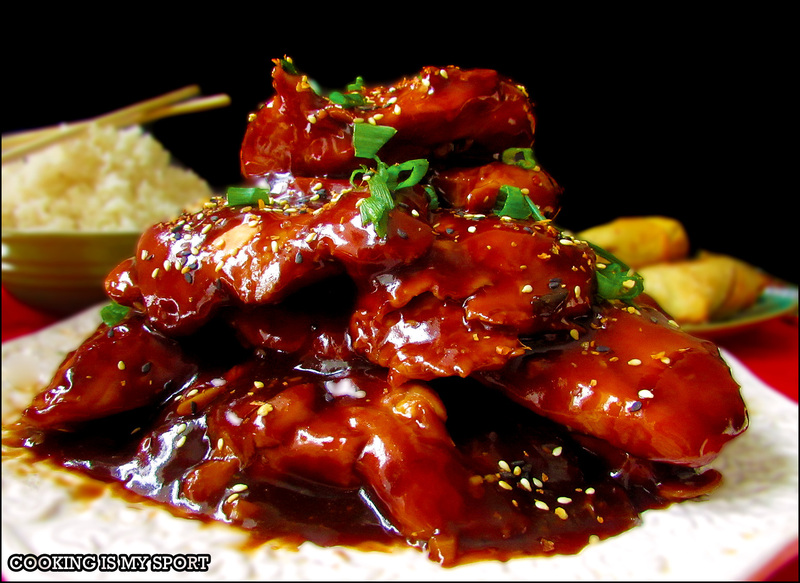 In a large bowl, combine hoisin sauce, wine, ketchup, soy sauce and garlic. 2. Trim chicken breasts of any excess fat and place in bowl. Toss to coat and place in refrigerator to marinate, about 10 minutes. 3. Preheat oven to 350°. Cover a jelly roll pan with foil; arrange chicken skin side up, spooning marinade on top. Bake until juices run clear and an instant-read thermometer inserted into the center of a breast reads 170°, 40 to 50 minutes. Transfer chicken to a platter; serve warm or at room temperature. Looks good. Wish I could have been there to enjoy it too! 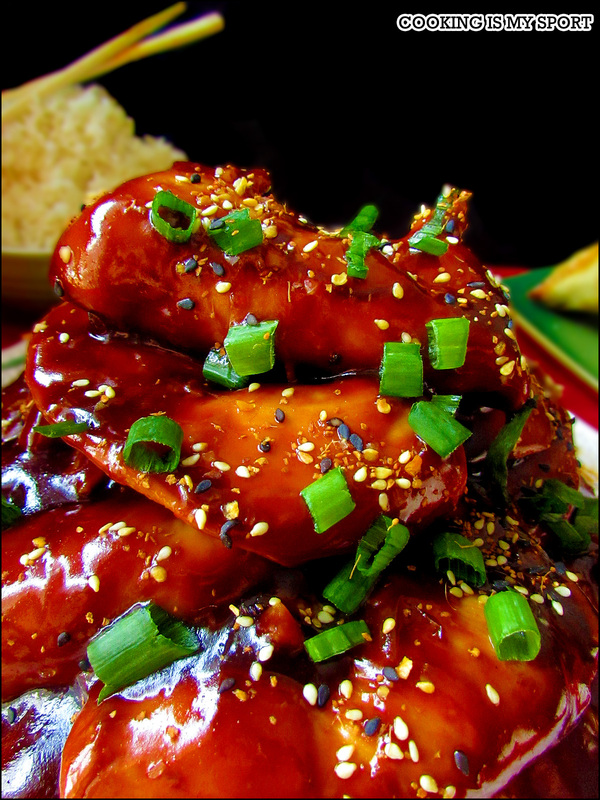 I love hoisin sauce, so these look amazing! They taste pretty good too- thank you for commenting! Oh my god, Jess! This chicken looks amazing! I was wondering what to do with chicken tonight and I just might have to try these. It looks so mouth-watering! 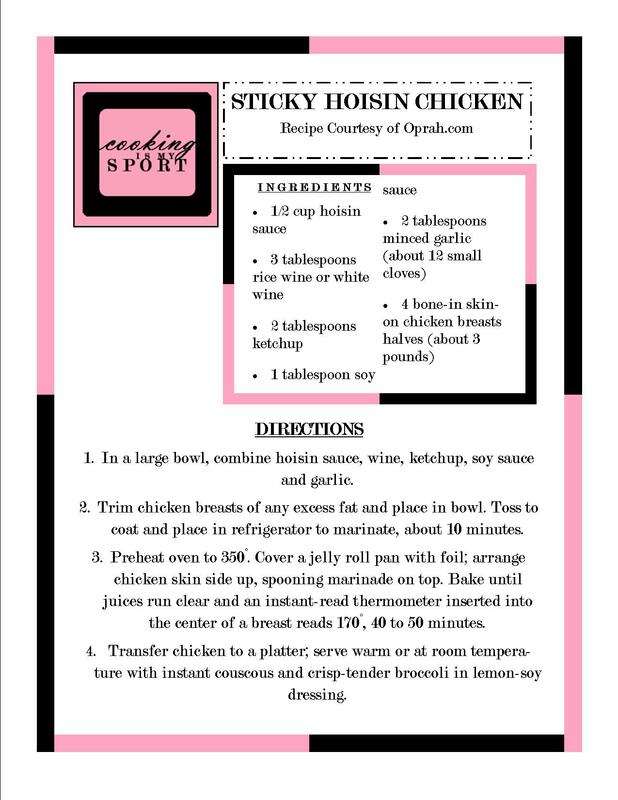 I tried this recipe tonight, and I loved the taste of the chicken in the hoisin sauce. But it didn’t look half as good as yours! 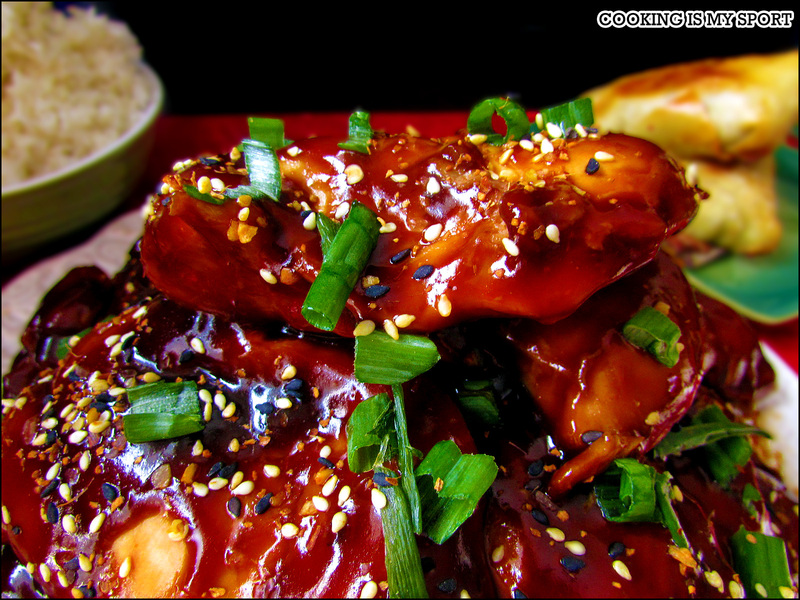 Hi – I’ve made sticky chicken wings before ( a big hit with some of my friends). I’ll mix things up slightly and use your recipe. Thank you for sharing. YUM! I cannot wait to try this. I’m always looking for recipes to substitute for take out, and this one looks perfectly suited for a Chinese food craving. Anything cooked with hoisin sauce I will eat (as long as it was not a four-legged animal). Very nice presentation. Keep it up! where’s the recipe for the lemon soy dressing?